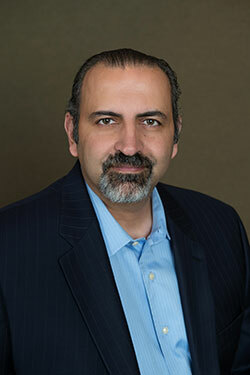 With over 28 years of experience in the home building and real estate industry, Shahram joined Griffin Residential in 2009. He has worked for many well-known real estate firms including John Laing Homes, Beazer Homes, Larwin, The Watt Companies and Mountain Capital. Collectively, Shahram has been responsible for the oversight of several billion dollars’ worth of real estate transactions over his career. Shahram oversees the Accounting, Finance, HR and Legal Departments. He interfaces with each department to prepare budgets and business plans, coordinates audits, tax planning and tax return preparation with outside CPAs, sources and negotiates competitive financing, serves as the liaison to lenders and equity partners, develops and maintains all other banking and insurance relationships, and manages the assets of the Company. Shahram earned his bachelor's degree in business with an emphasis in accounting from California State University, Northridge with additional coursework in corporate & partnership real estate taxation. He has also participated in executive training programs at the globally recognized Center for Creative Leadership. © Copyright 2019 Griffin Residential, All Rights Reserved.